U.S. Sens. 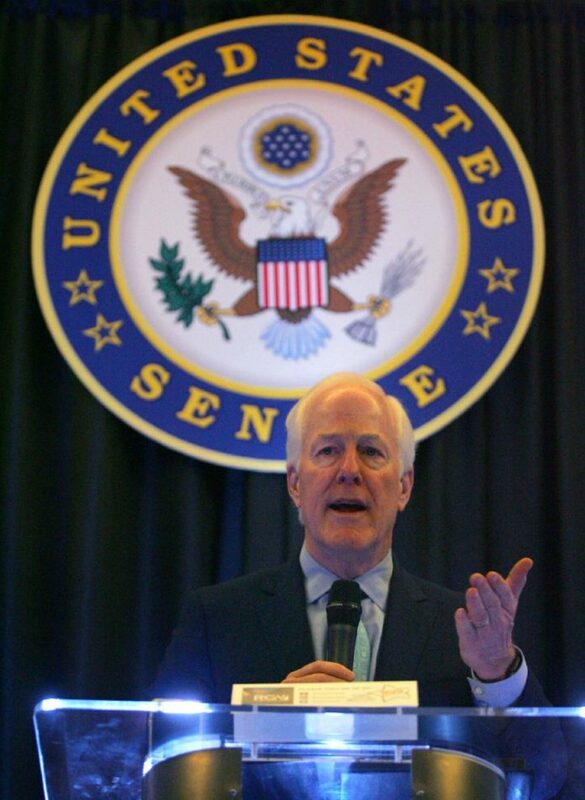 John Cornyn and Ted Cruz will join more than 25 members of Congress this weekend on another visit to the Rio Grande Valley as President Donald Trump’s “zero-tolerance” policy continues to fill immigrant holding facilities along the U.S.-Mexico border. Schedules are still being finalized but Cornyn and Cruz will likely tour immigrant detention facilities in Cameron County on Friday. Cornyn is then hosting a roundtable at the U.S. Border Patrol station in Weslaco, according to McAllen Mayor Jim Darling. Officials with U.S. Customs and Border Protection, Border Patrol, Immigration and Customs Enforcement, Health and Human Services and the Office of Refugee Resettlement are expected to attend in addition to mayors from several Valley cities. Specifically, local leaders from Cameron, Hidalgo and Starr counties will participate in the roundtable. Non-governmental organizations are also expected to participate, including Catholic Charities, Proyecto Azteca and Valley Interfaith. U.S. Reps. Vicente Gonzalez, D-McAllen, and Filemon Vela, D-Brownsville, are also hosting colleagues from across the country on Saturday for a tour of the Border Patrol’s centralized immigrant processing center in McAllen and an ICE detention center in Cameron County, according to Vela’s office. The list of members of the House who are attending is still being finalized, but Democrats expected to visit thus far include Karen Bass, Mark DeSaulnier and Anna Eshoo of California; Anthony Brown and Katherine Clark of Maryland; Joe Courtney, Elizabeth Esty and Rosa DeLauro of Connecticut; as well as Diana DeGette of Colorado, Adriano Espaillat of New York, Lois Frankel of Florida and Marcy Kaptur of Ohio. Democratic members of Congress Jackie Speier, Mark Takano, Norma Torres and Barbara Lee of California are also expected to be on-hand, as well Ann McLane Kuster of New Hampshire, Brenda Lawrence of Michigan, Sheila Jackson Lee of Houston, Grace Meng of New York, Gwen Moore of Wisconsin, Chellie Pingree of Maine, Tim Ryan of Ohio and Debbie Wasserman Schultz of Florida. While the members have questions about Trump’s policy, Trump signed an order Wednesday that ends family separations at the border. This trip is following various visits from other members of Congress, including multiple senators, on Sunday and Monday.